Medical Center, Navicent Health Named 1 of 100 SafeCare Hospitals in U.S.
MACON, GA (Monday, March 2, 2015) - For the second consecutive year, Medical Center, Navicent Health (MCNH) has been selected for The SafeCare Group's "100 SafeCare Hospitals" list for excellence in patient safety. Only the 100 hospitals with the highest scores made the 100 SafeCare Hospitals list. According to the SafeCare Group, if all U.S. hospitals attained the 100 SafeCare Hospitals level, more than 400,000 hospital deaths and close to 5.1 million preventable complications would be prevented. "Too often, hospital reputation and performance on quality measures are divergent. We believe that a listing of outstanding hospitals in the areas of processes of care, outcomes of care, and efficacy of care would promote strong incentives to improve care, treatments, and services. Most impressive about Medical Center, Navicent Health is its healthcare quality track record. This can only come from dedicated doctors, nurses, and leadership that chart a course of safe care," said Dr. Yisrael Safeek, MD, MBA, Founder and Chairman of The SafeCare Group. To produce a meaningful ranking of U.S. hospitals, The SafeCare Group looked to the Affordable Care Act for guidance of an evidence-based framework. The medical and legal experts who designed, developed, and implemented the Affordable Care Act believed that a listing of outperforming hospitals in the areas of Hospital Value Based Program (HVBP), Hospital Readmissions Reduction Program (HRRP), and Hospital-Acquired Conditions Reduction Program (HACRP) would promote strong incentives to improve care. The SafeCare Group adopted this framework for the 100 SafeCare Hospitals methodology and created three criteria domains - processes of care, outcomes of care and efficacy of care. As a result, the 100 SafeCare Hospitals utilized a methodology that is firmly rooted in nationally recognized, evidence-based metrics and data. "Medical Center, Navicent Health - along with all Navicent Health entities - bases its processes and procedures on the triple aim. We focus on quality, safety and efficiency in order to provide our patients with the right care at the right cost. To be selected to The SafeCare Group's '100 SafeCare Hospitals' for the second consecutive year confirms that we are doing the right thing for our patients," said Dr. Ninfa Saunders, President and CEO of Navicent Health. There are three categories of hospitals: Under 100 Beds, 100-400 Beds, and Over 400 Beds. MCNH was named one of the Top 100 Hospitals in the Over 400 Beds category. Hospitals do not apply for this award and the 100 hospitals listed did not pay for this honor. "This award is based on performance in the three main areas on which we focus - patient safety, quality and efficiency. Our inclusion on this list is affirmation that we are providing high quality care for our patients here in central Georgia, and others across the nation are taking notice," said Dr. Steve Mayfield, Chief Quality Officer for Navicent Health. Navicent Health was incorporated on November 17, 1994, as a nonprofit corporation whose primary purpose is to coordinate the Medical Center, Navicent Health and other affiliated entities in their mission of providing a comprehensive continuum of high quality, reasonably priced healthcare services to the region. Navicent Health has 830 beds for medical, surgical, rehabilitation and hospice purposes. 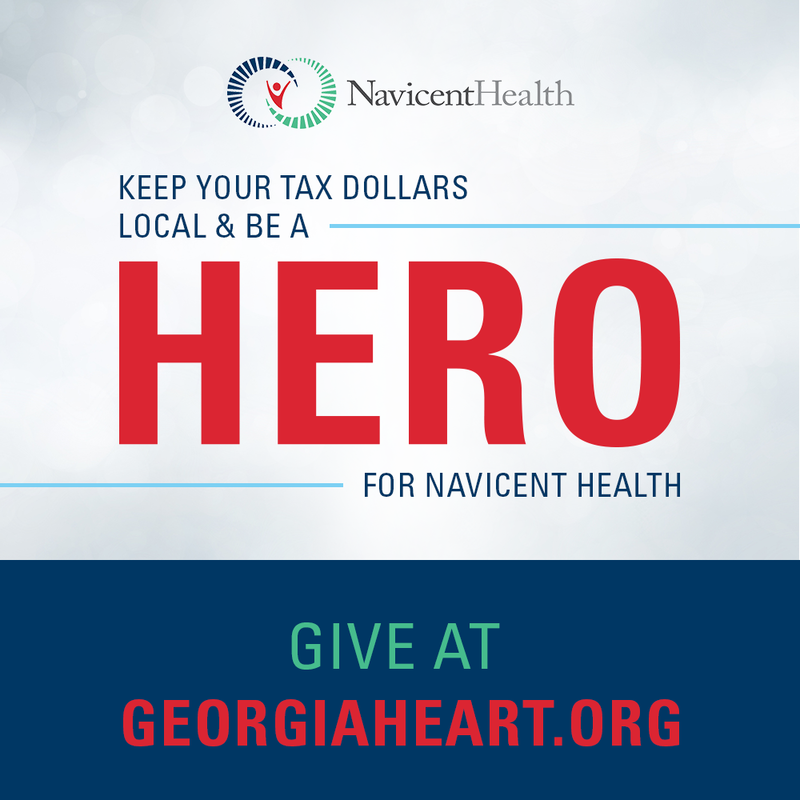 The health system includes Medical Center, Navicent Health, a nationally recognized tertiary teaching hospital; Children's Hospital, Navicent Health, the region's only dedicated pediatric hospital; Medical Center of Peach County, Navicent Health, a rural critical access hospital; Rehabilitation Hospital, Navicent Health, the region's oldest and most experienced rehabilitation provider; Pine Pointe Hospice, Navicent Health, which provides palliative and hospice care in homes and in its facility; Carlyle Place, Navicent Health, the area's first continuing care retirement community; Medcen Community Health Foundation, Navicent Health, the philanthropic arm of Navicent Health; as well as diagnostic and home care services.